Women in the U.S. exposed to high levels of air pollution while pregnant were up to twice as likely to have a child with autism as women who lived in areas with low pollution, according to a new study from Harvard School of Public Health (HSPH). It is the first large national study to examine links between autism and air pollution across the U.S.
“Our findings raise concerns since, depending on the pollutant, 20% to 60% of the women in our study lived in areas where risk of autism was elevated,” said lead author Andrea Roberts, research associate in the HSPH Department of Social and Behavioral Sciences. The study appeared online June 18, 2013 in Environmental Health Perspectives. Exposure to diesel particulates, lead, manganese, mercury, methylene chloride and other pollutants are known to affect brain function and to affect the developing baby. Two previous studies found associations between exposure to air pollution during pregnancy and autism in children, but those studies looked at data in just three locations in the U.S. The researchers examined data from Nurses’ Health Study II, a long-term study based at Brigham and Women’s Hospital involving 116,430 nurses that began in 1989. Among that group, the authors studied 325 women who had a child with autism and 22,000 women who had a child without the disorder. They looked at associations between autism and levels of pollutants at the time and place of birth. They used air pollution data from the U.S. Environmental Protection Agency to estimate women’s exposure to pollutants while pregnant. They also adjusted for the influence of factors such as income, education, and smoking during pregnancy. The results showed that women who lived in the 20% of locations with the highest levels of diesel particulates or mercury in the air were twice as likely to have a child with autism as those who lived in the 20% of areas with the lowest levels. Other types of air pollution—lead, manganese, methylene chloride, and combined metal exposure—were associated with higher autism risk as well. Women who lived in the 20% of locations with the highest levels of these pollutants were about 50% more likely to have a child with autism than those who lived in the 20% of areas with the lowest concentrations. Most pollutants were associated with autism more strongly in boys than girls. 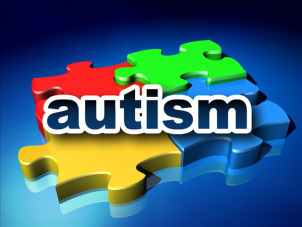 However, since there were few girls with autism in the study, the authors said this finding should be examined further. Roberts AL, Lyall K, Hart JE, Laden F, Just AC, Bobb JF, Koenen KC, Ascherio A, Weisskopf MG. Perinatal air pollutant exposures and autism spectrum disorder in the children of Nurses’ Health Study II participants. Environmental Health Perspectives, online June 18, 2013.